You know you have to be a pretty significant villain when you manage to rule a country for a century and only die when Jesus in the form of a lion kills you, but not until after you’ve killed him. 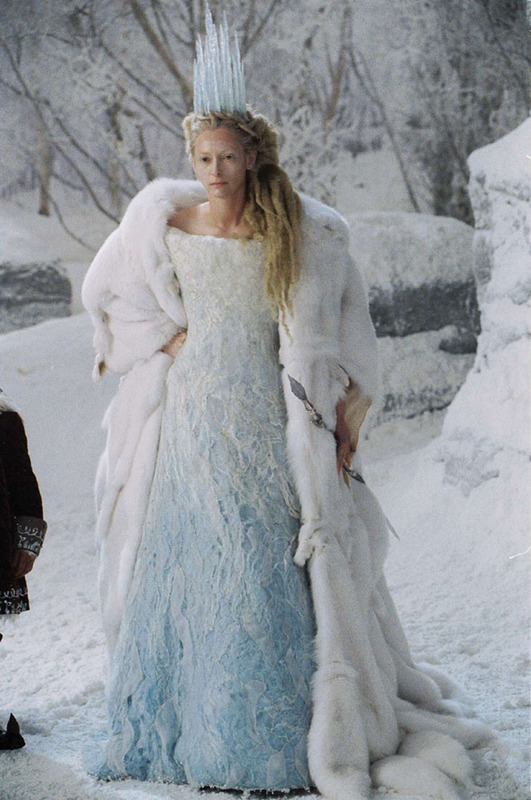 I’m referring, of course, to Jadis, the White Witch from the Chronicles of Narnia. 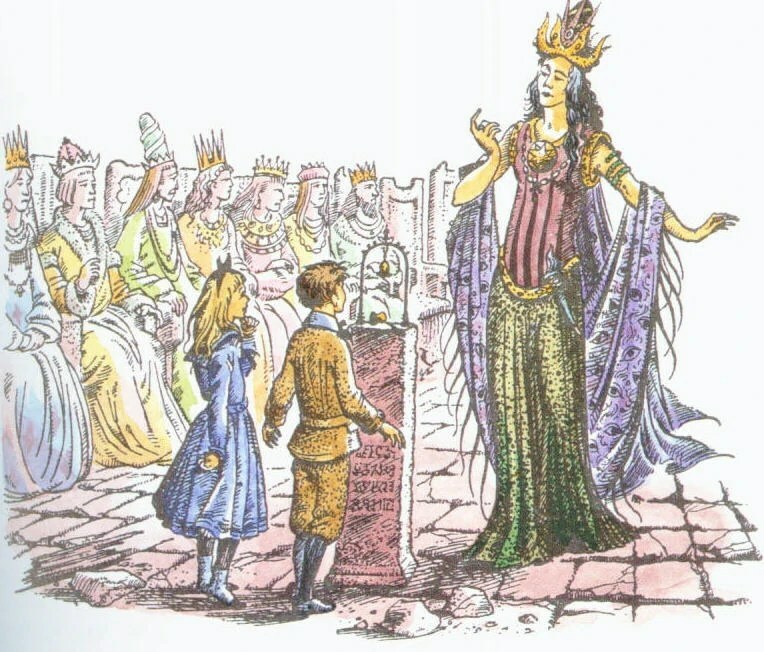 She’s the main antagonist in The Lion, the Witch, and the Wardrobe, and her origins are provided in The Magician’s Nephew. In fact, the latter book makes her the source of evil in the Narnian world, essentially Satan in these semi-allegorical stories. Mr. Beaver claims the Witch is a descendant of Lilith and of giants, and hence not human even though she looks like one. In Nephew, we find out that she was originally a queen in the dying city of Charn, located in a world that isn’t that of Narnia or of Earth. This world has a red sun, and since Jadis has great strength, she actually has quite a bit in common with Superman. She escaped to Earth and then Narnia in the company of Digory and Polly, but Aslan used a magical tree to keep her out of the country. 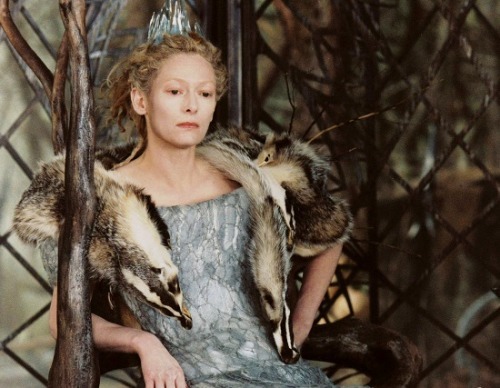 The tree is grown from the same sort of forbidden silver apple that Jadis eats, which grants her eternal youth and provides yet another Biblical reference. The tree must eventually be destroyed somehow, however, as she eventually returns and brings one hundred years of winter to the land. As I mentioned before, she appears to owe quite a bit to Hans Chrisitan Andersen’s Snow Queen, and in turn to the Norse goddess Skadi. During the height of her power, she turns all who oppose her into stone statues. There’s also talk of her having been an executioner, with the authority to kill all traitors. Exactly how this all fits together isn’t entirely clear, but that’s the information we have. I don’t know that she really works as the ultimate evil for the Narnian world, especially considering that she’s only alive for about half of its existence, but she is an effective villain in her own right. What I have to wonder is why Aslan let her rule in Narnia for so long. I guess when you write a God character, you don’t always have to explain, but isn’t that a bit of a cop-out? This entry was posted in Authors, C.S. Lewis, Chronicles of Narnia and tagged aslan, hans christian andersen, jadis the white witch, skadi, the lion the witch and the wardrobe, the magician's nephew, the snow queen. Bookmark the permalink. Hey Nathan, since you obviously like childrens fantasy so much, you really need to read the Edgar Eager books. Most public libraries have them. My two favorite are “Half Magic” and “Seven Day Magic”. 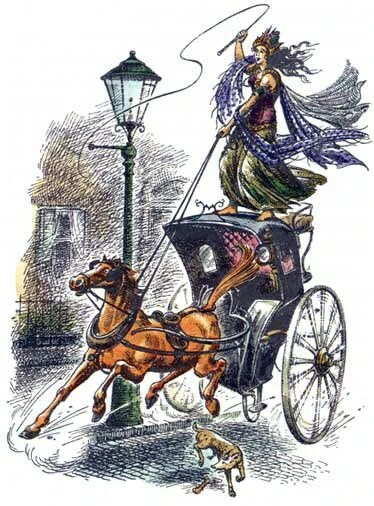 I also wonder if you have read the E. Nesbit books that were contempereneous with the Baum Oz books. I’ve read a little of Nesbit, but nothing by Eager. I’ll have to check those out.